NW Ventilation is a licensed, bonded HVAC company (heating, ventilation, and air conditioning) locally owned in Camas, WA serving the greater SW Washington / greater Portland area. When it comes to heating, ventilation, and air conditioning, NW Ventilation is dedicated to providing the highest in customer satisfaction for all of our home comfort services. We provide the highest quality equipment for your Camas / Vancouver area home or business. 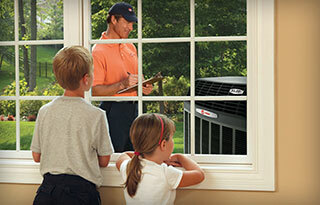 TRANE HVAC equipment is among the industry leaders in quality and reliability. Our highly trained staff can service your HVAC equipment with skill and timely service. In addition, you may find it beneficial to join our growing number of clients taking advantage of our regularly scheduled maintenance program. Be sure to ask us about these programs.